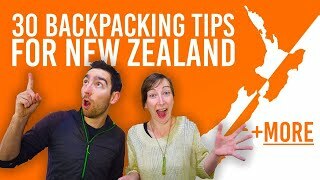 It might be a strong statement to make, but we can think of plenty of reasons for why New Zealand is the best backpacking country in the world! This small yet insanely dynamic country is almost like it was made for backpackers with a sense of wanderlust and adventure. Some describe New Zealand as a country that’s on steroids with its larger than life adrenalin activities and larger landscapes! People from all over the world come here for the work and travel experience of their life. It might be a challenge to push yourself to travel all the way to this isolated country but backpackers reap the rewards for the rest of their lives. Get started with the gap year of your life by checking if you can apply for the working holiday visa. 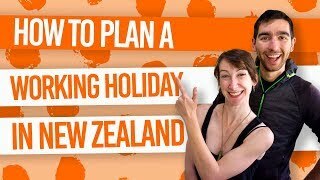 WorkingHolidayNewZealand.com is a useful resource for this. See a variety of mind-blowing landscapes – Middle Earth! Do some once-in-a-lifetime adventure activities. Free and cheap things to do! Stay in fantastic backpacker hostels. It’s easy to land yourself a job. Experience the Kiwi culture and save money though WWOOFing and working for accommodation. Travelling around the country is ‘easy as’! Because of these 10 Damn Good Reasons to Take a Gap Year in New Zealand. There’s a reason why this country was chosen to depict one of the greatest fantasy books of all time. From the rolling green hills of the North Island to the mighty snowy mountains of the South Island and everything in between, it’s amazing how many different natural sights are compacted into this small country. Your camera will be begging for a rest as you try to capture every bizarre rock formation, every walking track engulfed in dense forest, every paradise beach, every mountain peak view, every steaming hot spring, every ice cold glacier… Well, you get the picture. So with so much to see, spending six months to a year on a working holiday visa is the usual length of time backpackers spend to see as much as they can, often ticking everything off their bucket list before they go home. Even those here for about three months on a visitor visa can fit in a lot of sightseeing, especially when working is not a priority. Fancy a casual skydive from 15,000ft? Maybe a bungy jump, white water rafting or black water rafting? From the country that invented the bungy jump and jet boat, it’s certain that your dose of adrenaline will be served in New Zealand. Those seeking adventure in the form of heart-pumping experiences will certainly find what they’re looking for in New Zealand. The country is all about an active outdoorsy lifestyle, with locals living for the surf, the ski or maybe the downhill mountain biking. Many backpackers can experience this too by living and working in areas where they can discover new hobbies that make life all that bit more awesome, such as working on one of New Zealand’s ski fields, on the coast with fantastic surf, or on the doorstep of one of the national parks. That said, there are heaps of once-in-a-lifetime activities backpackers love to explore, such as hiking on a glacier, skydiving, bungy jumping, white water rafting, caving, tubing and zorbing. Check them all out here. Backpackers have a love for one thing that trumps everything else: free stuff. 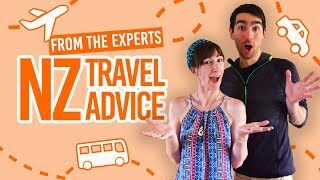 Saving money while travelling is not as difficult as it may seem, especially in New Zealand where you don’t have to spend much to have fun. The number one free thing to do in New Zealand is to go for a walk or a hike. Some of the best times backpackers have in New Zealand is going into the wilderness to immerse themselves in the landscapes. Most walking tracks in New Zealand are maintained by the Department of Conservation and are very easy to follow. A New Zealand must-do has to be at least one of the 9 Great Walks – multi-day missions through New Zealand’s best scenery. Cheap accommodation! These are the reason why we can afford to travel all over the country. With prices ranging from NZ$20-35 a night, backpacker hostels let you save money for the more important stuff. Not only that, but they are a great way to meet other travellers from all over the world, as well as heaps of other reasons which we list here. New Zealand has a fantastic network of backpacker hostels from chain hostels like Base, Nomads and YHA to independent hostels that may have a membership with YHA or BBH. Each hostel has its own personality and offer different things so it really is an experience in itself staying in a New Zealand hostel. What’s more, there are hostels scattered all over the country to cater to our backpacking needs. 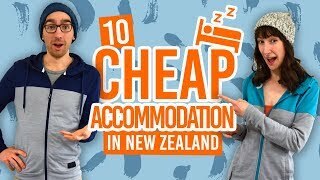 Unfortunately, us backpackers are not made of money so being able to find a job in New Zealand is essential to fund travelling. That’s where the handy working holiday visa comes in, where backpackers can work and travel for usually a year. There are limited conditions of a working holiday visa so there’s a possibility of work in a variety of fields, perhaps to try something new with an entry-level position or to expand on the experience in a particular field. See the usual types of backpacker jobs here. New Zealand has a number of seasonal jobs too, meaning there is an end-date to your work contract. It could be in fruit picking, farming or working on a ski field. Another thing New Zealand does well for backpackers is its WWOOFing and work for accommodation opportunities. Again, it’s a way of saving those precious cents while travelling. WWOOF is the Worldwide Opportunities of Organic Farming. The organisation allows you to stay with a Kiwi family in exchange for a few hours work a day. It is seen as a cultural exchange where many backpackers have come away with amazing experiences and a new family away from home. Other popular ways of working for accommodation are by working in hostels and being an au pair. But be sure to check out more ways here. It’s like some of the transport links were built for backpackers! That’s because in some cases this is true, especially the hop-on hop-off buses. They are a flexible bus network allowing you to “hop off” the bus anywhere along the national route and then hopping back on the next bus when you’re ready. Easy! The drivers are also guides taking you to a few walks or to things worth seeing along the way. You’ll never be cooped up on a bus for too long. What’s more, you’ll be travelling with like-minded people so this is great if you are a solo traveller. For those who enjoy maximum freedom, backpackers are often buying cars and selling them when they leave New Zealand, so picking up a car and road tripping in New Zealand is another great option. Check out about buying cars in New Zealand here. Otherwise, most of New Zealand is connected by national bus networks, which is an affordable option of travelling both long and short distances. … New Zealand is safe! New Zealand is an easygoing and friendly country, which is evident in the New Zealand culture. Locals are very welcoming, and so are the backpackers that travel here. Many people travel on their own in New Zealand and it’s ‘sweet as’.